Delivering periodontal and dental implant expertise in a comfortable and patient-focused environment. 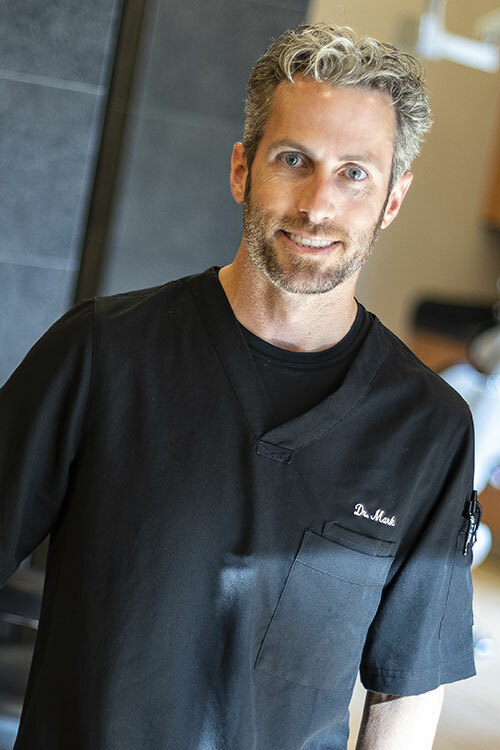 Dr. Mark Lavin is a specialist in periodontics and implantology, focusing on the prevention, diagnosis, and treatment of periodontal (gum) disease and in the placement of dental implants. 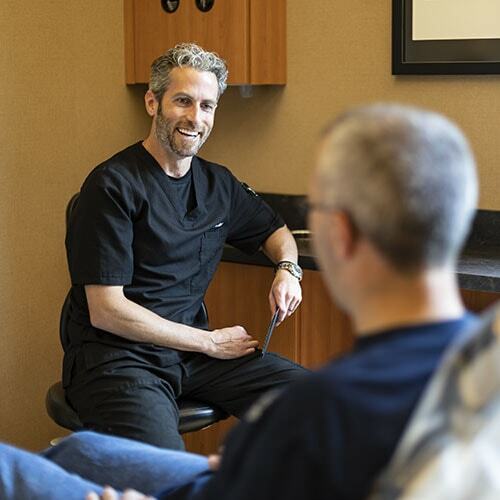 As a periodontist in Sioux Falls, SD, Dr. Lavin understands visiting a specialist or a dentist isn’t your favorite thing to do. Rest assured, he’s created a small clinic where our team takes their time by answering your questions, addressing your concerns, and discussing your treatment plan. It’s our goal to understand why you’re here and to help you the best we can by solely focusing on conservative surgical and non-surgical treatment of gum disease, including cosmetic procedures to aesthetically enhance your smile. We also provide dental implants to replace single or multiple missing teeth. We believe your comfort is an important part of quality dental care. Our patients often mention they don't feel any pain during and after surgery. We never rush treatment and gently administer an anesthetic. Multiple forms of sedation dentistry are available to help you feel relaxed during the procedure. While prices vary, we are always upfront with your cost. We do accept most dental insurance and even accept CareCredit. With CareCredit, you can make monthly payments for up to 18 months! When you hear the word "surgery," you might think you will need to prepare for a long recovery, but that is frequently not the case with periodontics! Visiting a periodontist is similar to visiting a general dentist; you can often go back to work that same day. Communication is everything to ensure your patient receives the best quality care. 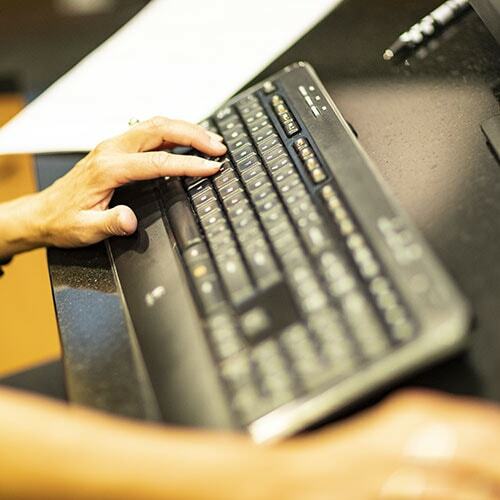 Learn what you can do to help make your patient's visit easier. Dr. Lavin explained everything in terms my son was able to understand! When we left, our son even commented on how he liked how things were explained to him! Less than 45 minutes after we left I received a call from my son's Orthodontist stating that Dr. Lavin had already spoken with him about my son and was calling to follow up! Amazing teamwork and professionalism! Dr. Lavin was the most pleasant doctor I have ever dealt with. He introduced himself, asked lots of questions, probed my mouth (zero pain) and spent 30 minutes in his consultation room with me going over his findings. He was not rushed, he was not pushy and he was not about the almighty dollar. His bedside manner ranks as some of the best I have seen and I grew up in a medical family and in my work deal with doctors every week. Protecting your smile is our top priority. If you are missing one or more teeth, dental implants are the foundation to replicate the look, feel, and function of natural teeth. You will regain the ability to eat virtually anything, smile with confidence, and preserve your facial contours. We invite you to learn how dental implants are changing lives and helping patients to rediscover their self-worth. Are you embarrassed by exposed tooth roots, a gummy smile, or excessive gum recession? Dr. Lavin can use a combination of periodontal procedures to help balance your smile with the help of cosmetic dentistry by your dentist. Discover the possibilities for your smile to renew your confidence. Call 605-332-6300 with questions or to make an appointment. We’re thrilled to provide advanced periodontics and dental implants for all of South Dakota. Please let us know how we can help you make your visits with us comfortable and easy. We’re here to help you.